Across Australia, people are doing exceptional things with food – but they're not necessarily celebrated chefs chasing acclaim. They're individuals wanting to transform their communities for the better – whether it's through sandwich-making marathons, delivering farm-fresh food to pensioners or dressing up as a seal to make a point about pollution. The Good Food Guide 2019 honours this resolve with Food For Good, an annual award that celebrates innovation, charity and sustainability. Last year the honour went to Jock Zonfrillo and his Orana Foundation, which shares, documents and supports the food heritage of Aboriginal and Torres Strait Islander people. This year's finalists show how a humble sandwich, backyard crops, conversations about mental health, Indigenous hospitality and reducing plastic straw use can make the world a better place. 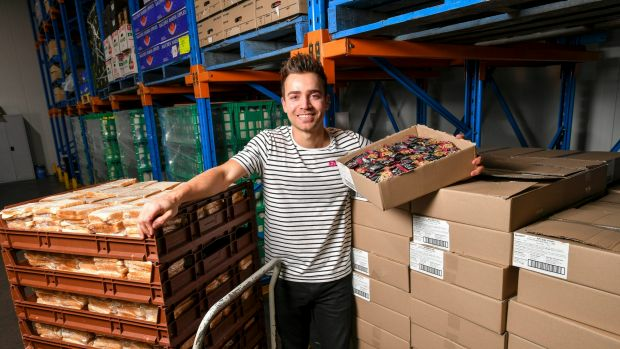 When business student Lyndon Galea read in the local newspaper that kids were regularly attending school hungry, he began raiding his own fridge. With help from his mates and mum, he made 200 sandwiches – half cheese, half Vegemite – which he dropped off at two schools in his home town of Shepparton, Victoria. As he talked to the teachers, he realised playground hunger was a disturbingly widespread problem. Teachers were sacrificing their own meal breaks to prepare lunches for kids. "Some of them would have secret tabs at the canteen that they'd cover and even on some occasions, they would give the kids their own lunch." As the 25-year-old researched the issue further, he read a staggering statistic from Foodbank, one of the country's leading hunger relief organisations: one in eight schoolkids turns up to school hungry. In between juggling his studies and part-time jobs, Galea became more involved – regularly pinching ingredients from his mum's pantry and stocking up on $1 supermarket loaves to make more sandwiches for students. As demand grew, Galea enlisted mates. "We were borrowing all the fridges we could." What began as a sympathetic whim in 2013 has morphed into Eat Up, a charity Galea now runs full-time. "There are 282 schools across Victoria that we help now and we deliver 6000 lunches every week," he says. In the early days, it would take Galea, his girlfriend and mum three hours to make 600 sandwiches. Now, volunteers can produce 3000 sandwiches in 45 minutes. "I used to deliver sandwiches in my van with a cooler bag. Now we have refrigerated vans," he says. Eat Up has delivered more than 250,000 sandwiches – an achievement that volunteers, sponsors and organisations such as Foodbank have made possible. Coles and Goodman Fielder are donating 35,000 loaves – enough bread to last the organisation until mid-2019. While Eat Up plans to spread into other states (they launch in NSW in October), the results in Victoria alone are cheering. "Attendance rates have boosted, because a lot of parents used to be embarrassed to send their students to school without anything, so ... the kids would stay home." And teachers have noticed that students are less agitated and restless, thanks to lunch being a given. 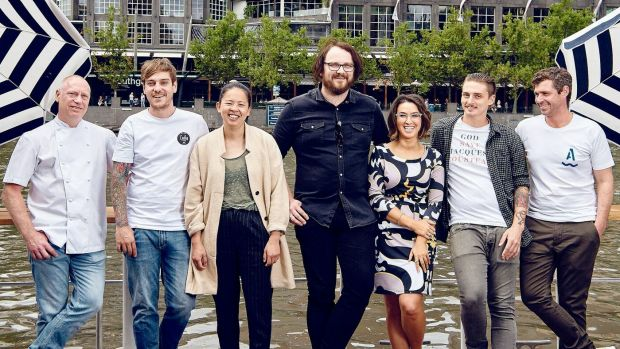 Chefs Donovan Cooke (Ryne), Matt Stone (Oakridge), Thi Le (Anchovy), Shaun Quade (Lume), MC Alice Zaslavsky and organiser Mal Meiers, and Nick Bennett (Arbory) at a Food For Thought fundraiser at Arbory Afloat in Melbourne. "Food For Thought was born out of me hitting rock-bottom in my own life," says Mal Meiers, currently sous chef at Hobart's Franklin. "Chefs, by nature, they're overachieving and they throw all their eggs in one basket. "He was no different – when depression struck while he was working at a small restaurant in Melbourne's Fitzroy, it hit him unbelievably hard. "I had nothing else. I had no hobbies, my home life wasn't that great and work was terrible." In July 2014, he considered taking his own life. "I was lucky that, at the lowest that I was, I called my best friend at 5 o'clock in the morning and for some reason he answered that day," he says. As Meiers got better, he wanted his experience to help others. Food For Thought was the result. Meiers' goal is to take the stigma out of mental health issues over multiple courses, running guest-chef dinners that are a forum for hospitality pros to share their stories, as well as an opportunity for Meiers and his collaborators to raise funds for charities that address depression and anxiety. "I wanted to create some conversation around the help that was available, the fact that it was OK to be vulnerable, OK to speak about it," he says. "I realised that nobody knew that I was struggling the whole time." The first fundraising dinner convinced him he was on the right track. Aided by Peter Gunn (from Collingwood's Ides) and other young chefs from top restaurants (Attica, Vue de Monde) – the dinner helped spark discussion. Favours were called in, and ingredients and wine donated, to ensure all the money raised went to the beyondblue support service. For the second event, he collected quotes from the 14 guest chefs. Only one said they'd never had mental health struggles. Since then, he's staged dinners in Sydney and Brisbane and has one planned for Auckland. Meiers has been amazed by the response to Food For Thought. At a recent event he couldn't move for about 2 hours. "I just had people thanking me for sharing [my story] and asking how they could be involved." By the year's end, he predicts that Food For Thought will have raised $100,000 for charities such as beyondblue, R U OK? and Lifeline. "In the first year, no one really wanted to speak about anything, it was super hard to get any media, to get the message out there. Now, the support for us is ridiculous." Sydney's departing deputy lord mayor Jess Miller has had many roles throughout her career, but Disapproving Seal is the most unlikely. But that's how she appears, complete with whiskers and rasping bark, in the YouTube campaign video for #SydneyDoesntSuck, which premiered in July. "When it comes to straws, Australians use around 3.6 billion of these little turtle-choking seal-killers each year," she says. "Every piece of plastic that was ever created still exists," Miller said upon the launch of #SydneyDoesntSuck, an umbrella campaign to draw attention to the great work that Sydney's best bars, hospitality and entertainment venues are doing to limit their use of single-use plastic straws only to people who really need them. Her initiative was inspired by seeing bar manager Tosh Lanyon put up a sign at Darlinghurst's Ching-a-Lings Bar that said, "If you don't actually need a straw, don't ask for one." Miller is not calling for a ban on straws (which disability advocates oppose); just a radical reduction in their usage. At The Lord Gladstone in Chippendale, straws are hidden behind the bar, and only given on request. In August, every Sydney Opera House venue (including Bennelong and Opera Bar) banned plastic straws. The move will prevent 2.2 million straws from ending up in landfill – or oceans. To ensure the 15,000 unused plastic straws that were on site weren't wasted, artist Francesca Pasquali turned them into a thought-provoking installation that's on show at the Opera House lounge until October 10. Penelope Dodd from Produce to the People. Penelope Dodd's tomatoes were out of control. 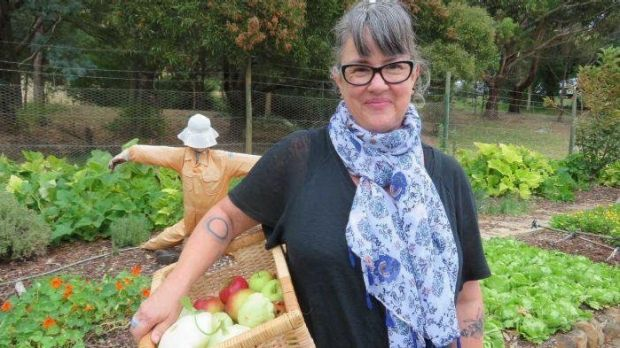 After handing out her backyard produce to friends, family and neighbours, "I still had so many tomatoes," she says. But instead of bottling enough passata to last her until the apocalypse, she began the local chapter of Produce to the People – a San Francisco charity that redirects excess vegetables to people in need. 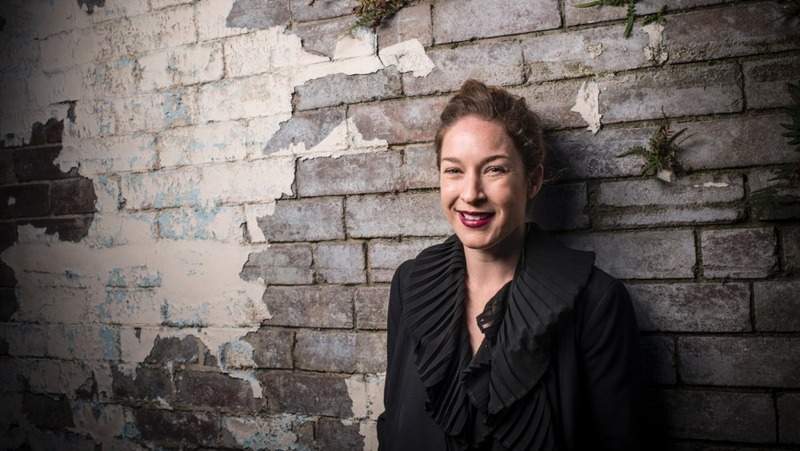 Sure, her town of Burnie – in Tasmania's north-west – had a population 40 times smaller than the tech capital, but Dodd made it work, organising local drop-off points at banks and cafes so food could go to homes where it truly made a difference. Produce to the People has grown steadily since that monster crop of tomatoes in the summer of 2009. "In the last financial year, we gathered over 70,000 kilos of regional produce," she says. Loaves and Fishes, an organisation that takes excess food from producers, contributes. And farmers left with fruit and vegetables that don't fit supermarket guidelines also donate a mountain of produce. Dodd has added many initiatives since, including emergency food hubs – drop-in centres where people can get food, no questions asked – and a home delivery service for the elderly. Produce to the People now oversees a 0.8-hectare farm at Burnie High School. Kids previously unaware that "potatoes grow under the ground" end up cultivating produce themselves. One girl burst into tears when she missed out on some broccoli – a clear sign that Dodd's pro-vegie "brainwashing" has been successful. To help fund her projects, she's started a micro-green-growing social enterprise. Local restaurants are buying the produce, but it's as rewarding to see high school boys enthusiastically sampling greens. For many, Produce to the People is the difference between having to choose either buying vital medication or food for the week. "If people have a car registration to pay, we'll see them because they couldn't pay for both." You can create a lot of change with kangaroo steak, ricotta and warrigal green scrolls, and lemon myrtle cheesecake. These dishes come out of the National Centre of Indigenous Excellence's food program in Sydney and are served to the centre's 15,000 conference and accommodation guests each year. And since 2017, the catering program has been delivering bush spice sausage rolls, kangaroo pies and other menu items across Sydney – with extra social purpose. 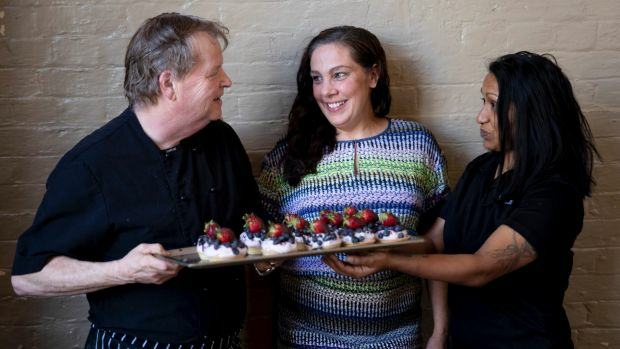 "What makes our food truly special is that many of our hospitality staff come through our Job Ready training program, which works with Aboriginal and Torres Strait jobseekers with complex barriers to employment," says chief executive Clare McHugh. "It's not uncommon for our participants to experience homelessness or contact with the justice system, which makes it even more difficult to get into the workforce." The centre offers support from resume writing to counselling. Job Ready founder, mentor and Aboriginal elder Aunty Beryl Van-Oploo helps reconnect participants with the Indigenous community. Due to a lack of resources – and drivers – the catering program began humbly. "We essentially said, if you really want our food, we'll put it on a tray and leave it in the dining room," says Indu Balachandran, general manager of enterprises. When clients began arriving from as far afield as Ku-ring-gai to collect their Indigenous pies and sandwiches, staff realised the catering initiative had serious promise. So they started delivering across town – despite the logistics.The food-filled minibus was impossible to park in the city – and hard to see out of – so after three crashes, they knew they needed a more suitable car. It meant they could do more than deliver food, too. The Sydney Opera House asked for staff to attend a catering event. "Aunty Beryl came along and did a talk about bush spices. She handed out samples and showed how she cooked with them," says hospitality manager Peter McLaughlin. "Our food is a representation of Indigenous excellence. And I think that's what makes people proud, that they're part of a story of Indigenous excellence," says McHugh. For help or information contact Lifeline on 13 11 14, or beyondblue on 1300 224 636.